The robust, peppery flavor of Arugula adds zest to your salads. For maximum taste, harvest leaves when they are approximately 6" in height. Grow with other cool-weather greens, such as a spinach, lettuce and mustard. 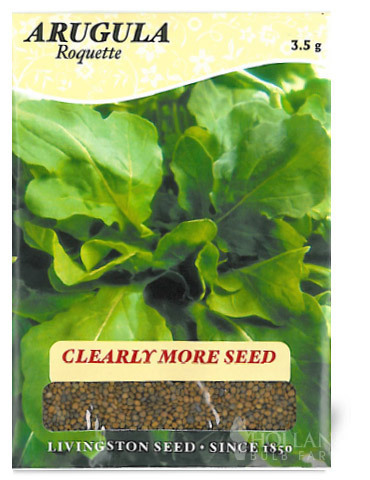 For fresh green from the garden, stagger planting every 2 weeks during the growing times. 40 days to maturity. Garden tip: Arugula has uses beyond salad. It can be sautéed or cooked. Don't forget to try Arugula sprouts, too.